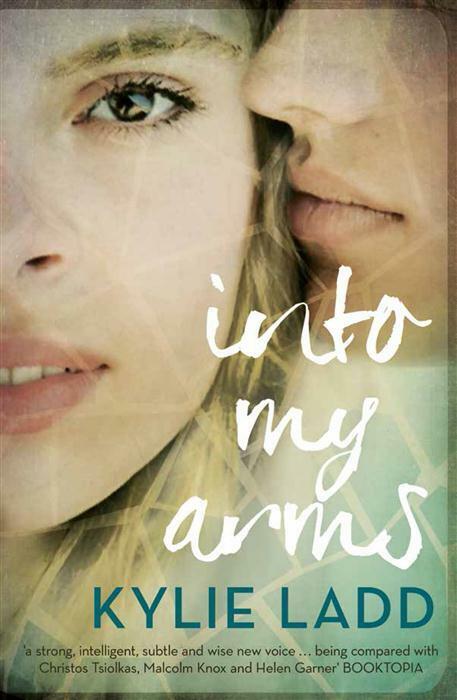 Into My Arms by Kylie Ladd is promoted as being a love story with a shocking twist. Shocking as it may be to some the topic within is real. I for one have had personal experience with this topic, having it effect my life on a scale that could be seen as being larger than life. Genetic Sexual Attraction is a worldwide phenomenon that strikes unexpectedly when biologically related family members, who have been kept apart for many reasons, meet as adults. The feelings can be instant, intense and confusing yet one is engulfed with an immense feeling of love and longing. I commend Kylie Ladd for taking on a topic that is not only controversial but difficult for most to comprehend. Kylie is not only a novelist but a qualified neuropsychologist. She has been able to use her professional knowledge, and facts found during researching and talking to those effected, to correctly portray the immensity of GSA. Kylie shows compassion for the topic. Until one actually experiences the immense emotions and push and pull GSA creates, one can not fully understand it, but within Into My Arms Kylie Ladd has given the reader a deeper understanding of the intensity involved. Her characters correctly display the push pull and immense need. I did feel the story played down the turmoil GSA causes within the extended family unit but will acknowledge that this is different in all situations depending on the family dynamics. Into My Arms is more than GSA. It is a story of love, passion, family, unity, need and conflict. It is a story of the reality and struggle of life, of the decision to try IVF and how that decision can affect the rest of your life. I love the way Kylie interweaves the struggle of families who immigrate and the longing of a mother who does not know where her children are, lost in a country she use to call home, with the immense feeling of loss and longing that GSA creates. Into My Arms smoothly moves from one topic to another integrating them without the reader giving it much thought. The characters blend into each other, with the issue at hand floating above just high enough to make an impact on the readers thought process. Although fiction Into My Arms has an important message. Genetic Sexual Attraction is real. Society can debate it, they can be disgusted by it and they can ignore it but as Kylie Ladd makes clear it is destroying the lives of families and individuals whilst also uniting and creating love and peace. Into My Arms is a love story with a difference. Beautifully written with compassion and understanding Kylie Ladd has excelled. It is easy to see why it has been placed on the list of ‘A Book You Can’t Put Down’ and why Allen and Unwin give it the Read it. Love it. Or your money back guarantee. Smooth to read and topical Into My Arms takes you to a fictional world where you feel love, lust and a little lost whilst the pages wrap you in security and warmth. Definitely on my ‘Go on, give it a read’ list. Hopefully I get my own copy to this book soon, seems like a good read. I think good books should do as this one does. That is confront you with topics, themes, ideas that shake your perception of the world. Maybe it will change maybe it will not but the point is to make you think and not just accept what is handed down. Into My Arms definitely makes you stop and think about how you would handle this situation if you were faced with it. It opens the door to the reality of it could be me.